When the U.S. Fish and Wildlife Service declined to list the greater sage grouse under the Endangered Species Act last month, the Bureau of Land Management was left with a dilemma. Since 2009, the federal agency has postponed approval of new oil and gas development leases on some 5.2 million acres in prime sage grouse habitat in the West. Their intention was to wait until regulations were in place that would allow operators to move ahead with minimal impact on the bird’s shrub-steppe habitat. Now, those parcels of land could go back on the auction block – and environmental groups say that could result in harm to grouse populations, which had been slowly recovering. Though no decisions have been made yet, the BLM hopes to determine what to do with the land — which is more than twice the size of Yellowstone — by the end of the year. “Prior to offering any parcels for sale, the BLM will ensure conformance with the sage grouse plans,” says Mitch Snow, a spokesman for the agency. Those plans call for strengthened sage grouse protection across 67 million acres in 10 states, putting 28 million acres off limits for surface development. In addition, tiered restrictions will be placed on any new leases, which can include disturbance caps, density limits on well pads and roads, and buffer zones between drilling activity and leks, the birds’ mating grounds. The exception to much of this has been Wyoming, home to the largest population of greater sage grouse. 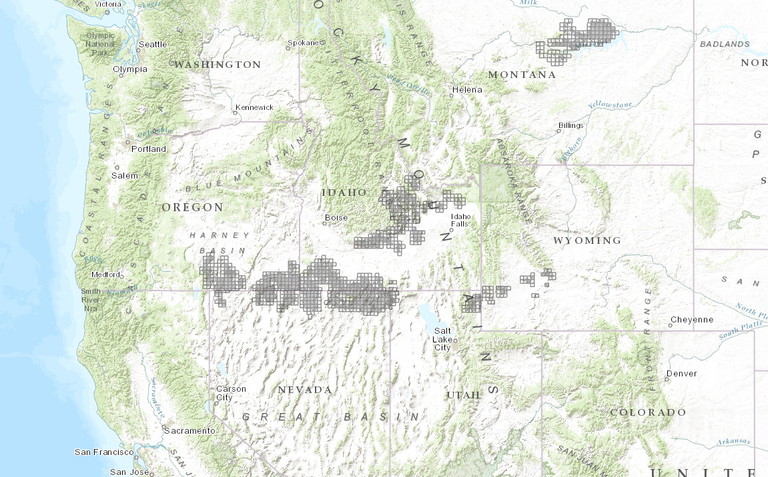 While most states allow leases only for underground oil and gas development in key habitat zones, Wyoming continues to permit surface development in these areas, provided there‘s a buffer of 0.6 miles around a lek. Despite 2011 recommendations from state and federal scientists that priority grouse habitat be placed off-limits to oil and gas development, the BLM plans to lease parcels in all types of habitat, with varying degrees of restrictions meant to protect the birds. Still, it’s unclear if these chunks of land will see drill rigs any time soon. As of 2012, more than half of onshore federal oil and gas leases across the U.S. hadn’t even begun to be developed. And until prices recover substantially, they’re not likely to be. Because the greater sage grouse is notoriously skittish, relying on wide open landscapes for reproductive success, says Steve Holmer, a senior policy advisor with the American Bird Conservancy, it’s critical that BLM keep a moratorium on all leasing in the bird’s habitat. “When you look at the amount of (existing) leases, we see no rush to develop these areas,” he says. Meanwhile, the federal land management agencies are also addressing another important threat to sage grouse habitat: hardrock mineral mining. In conjunction with new land use plans, the the Department of the Interior is mulling the withdrawal of 10 million acres from certain hardrock mining operations in designated sagebrush focal areas across Idaho, Montana, Nevada, Oregon, Utah and Wyoming. New mining claims in designated areas would be temporarily prohibited while the Department of the Interior conducts environmental analyses. “We worked hard to prevent the (grouse’s) listing in the first place, so I think it’s fair to say we’re disappointed,” says Jack Lyman, executive vice-president of the Idaho Mining Association, where much of the land withdrawal is proposed. Ultimately, though, environmentalists say the fact that sage grouse populations have increased while the BLM deferred oil and gas development shows that the moratorium benefitted the bird.